We present a method of colour shade grading for industrial inspection of surfaces, the differences of which are at the threshold of human perception. 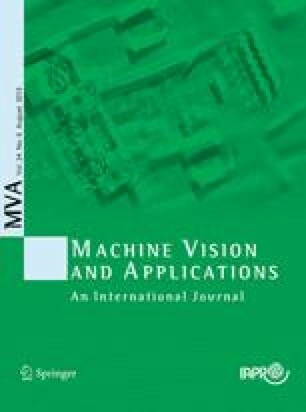 This method converts the input data from the electronic sensor to the corresponding data as they would have been viewed using the human vision system. Then their differences are computed using a perceptually uniform colour space, thus approximating the way the human experts would grade the product. The transformation from the electronic sensor to the human sensor makes use of synthetic metameric data to determine the transformation parameters. The method has been tested using real data.